Hearing mythological stories from elders is always a great experience, because we visualize the scenes as to our own imagination unlike TV serials or films which do the imagination for us. The next best thing to hearing these stories from elders is to read them as novels. 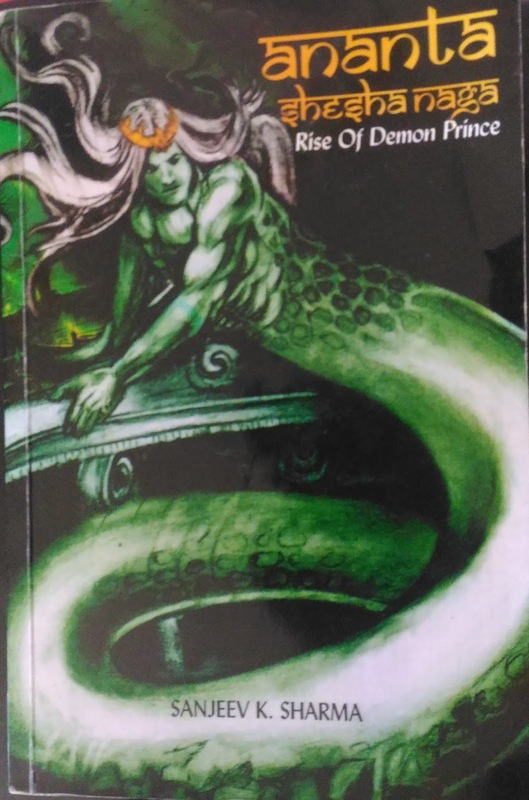 This is the reason for the evergreen attraction of mythological novels and the success of new storytellers of mythologies attest to this fact. Another important element to the mythological stories is their nativity. While you can enjoy Harry Potter novels, there is always an alieness about them because the mythemes like flying sticks are not native to our culture. Hence novels which have strong native mythemes always catch our imagination. There is no better mytheme and mystique in Indian mythologies than the Nagas. Nagas are uniquely pan-Indian mythologies and naga mythical elements always catch our imagination and nothing fascinates more us more than the naga legends. The sheer number of Hindi and Telugu movies and tv-serials is clear attestation to this. 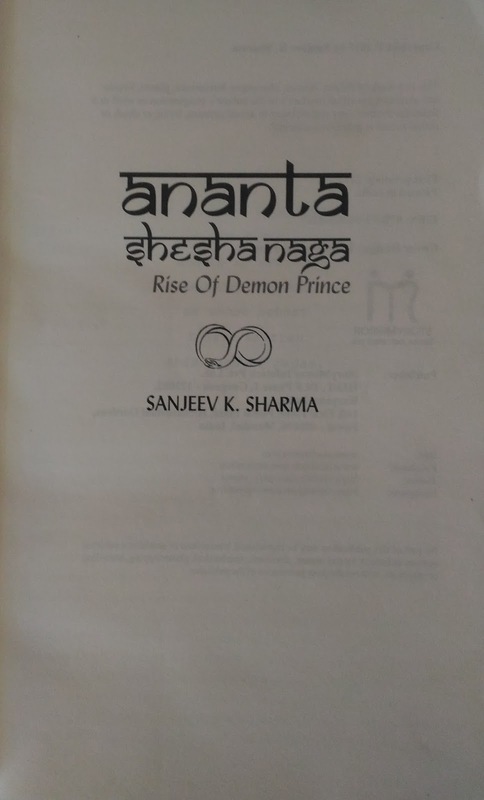 The Naga mythological novel, Ananta Sesha has all the key naga elements such as the lokas, shape-shifting to human and snake forms, secret naga-stones which are power-sources etc. are mixed up well along with other mythical figures like Ananta Sesha, Varuna, Indra, Vishnu as well. 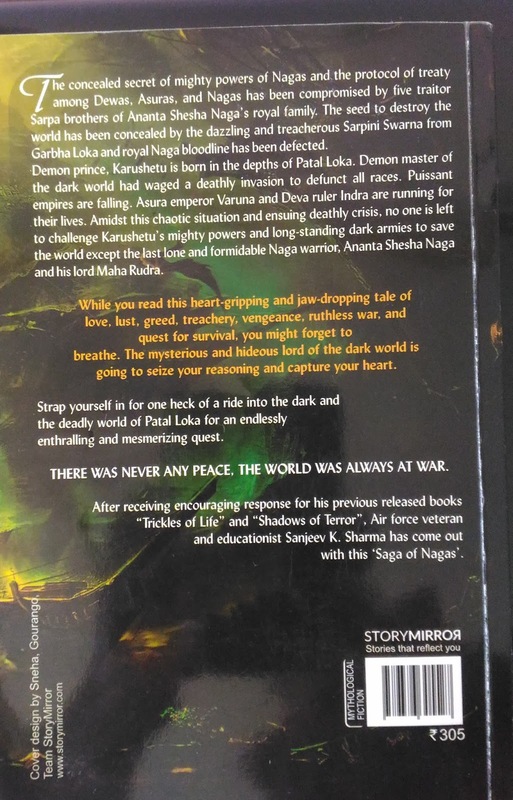 The strange mix up of the god-figures with the naga legends give magical realism feel to the story told. the story-telling style of the writer also gives us a wondering thought whether we are reading a true legend or a pure imaginative spell from the writer. The plot is also a gripping ever-green formula.. a conspiracy of galactic proportions with a few ambitious characters plotting the birth of demonic ruler who will unleash hell on the living world.. as the conspirators keeps trodding along their plan, spies and counter-spies add to the intrigue and seduce the reader into the story world.. the plot races towards a great war between the good and evil and engages the reader into wondering whether the side they are emotionally engaged with has any outside chance of winning.. the author has got all the story-devices to make the reader finish of the 250 odd pages in one single go. If you are a big fan of mythological novels, do not miss out having fun with this Ananta Shesha Naga,rise of demon prince Naga Novel.. AnataShesha Naga is a definitely a good one and would bring back the nostalgia of one's younger days back..